A native of California, Michael Gazzaniga completed his undergraduate degree at Dartmouth College. He earned a Ph.D. in psychobiology at the California Institute of Technology, where he was also a post-graduate fellow for two years. He was awarded a National Institute of Health Fellowship at the Institute of Physiology in Pisa, Italy. Gazzaniga's teaching and research career has included appointments at the University of California at Davis, Dartmouth Medical School, Cornell University Medical College, the State University of New York at Stony Brook, New York University Graduate School and the University of California, Santa Barbara. 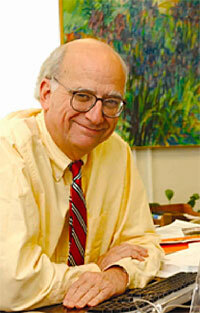 Gazzaniga is president of the Cognitive Neuroscience Institute and in 1993 founded the Cognitive Neuroscience Society. He is a Fellow of the American Association for the Advancement of Science, the American Neurological Association, the American Psychological Association and the American Academy of Arts and Sciences. He serves on the President’s Council on Bioethics. He is also president of the American Psychological Society. He has published many books, notably The Ethical Brain, Mind Matters, The Social Brain and Nature’s Mind. His many scholarly publications include the landmark 1995 book for MIT Press, The Cognitive Neurosciences, now in its third edition, which is recognized as the sourcebook for the field. Dr. Gazzaniga's long and distinguished teaching and mentoring career has included beginning and developing Centers for Cognitive Neuroscience at the University of California, Davis and Dartmouth, supervising the work and encouraging the careers of many young scientists, and founding the Neuroscience Institute and the Journal of Cognitive Neuroscience, of which he is the Editor-in-Chief.